Summer Camp 2019 is underway!! We have another 8 great, exciting weeks of artistic fun ahead of us! This year we are shaking it up a little with our weekly themes! 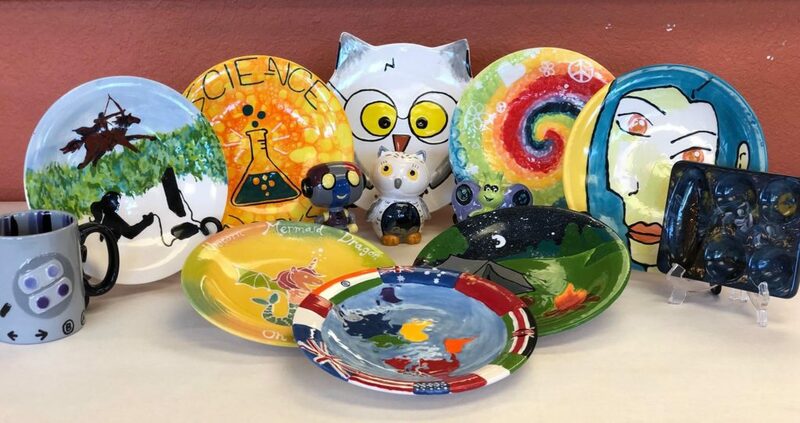 Our projects include Pottery Painting, Canvas Painting, Board Art, Glass Painting, Wet Clay Hand Building, and so much more!! Sign up for 10 or more sessions and get a custom, personalized t shirt for your camper! Please Print our registration form and bring in when you register your camper – or, if you register online – please bring it in to you first camp session. Detailed flyers for each week will be up shortly!